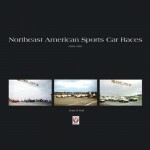 A reader who went straight for the photos would be forgiven—they are the predominant feature of this and Wimpffen’s other three oversize and heavy books in this monumental series of photographic histories of the world sports car championships. There are many other, and cheaper, photo books covering this period but it is the text that distinguishes his. The 25-page Introduction is absolutely first-rate in successfully sorting out this period’s various Groups and Classes and also Series. 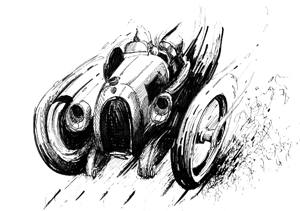 The former are by no means an easy topic to keep straight and even the latter is beset with anomalies as to which race in which year did or did not count towards world championship points. In fact, the reader who already has a passing acquaintance with the subject and thinks he’s a step ahead is probably the one to benefit the most from reading it because, in this case, knowing a little is worse than not knowing anything. The Group 5 nomenclature is especially confusing because it existed already in the preceding decade but with totally different specs. Anyhow . . .
No one period in racing is ever static. Technology, politics, and regulations are ever changing even if not always successfully. On the technology front, aerodynamics and tires made evolutionary advances in this decade compared to the truly revolutionary previous one. 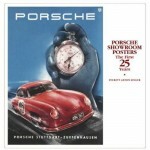 The maturity of turbocharging and the use of titanium were its major innovations. More than at any time before, science took the place of educated guessing. And, as important, mass production techniques took a big step forward in this period. (Just think of your own road car of the early 1970s—probably not your fondest memory as far as build quality is concerned.) It is almost redundant to say the cars were the most advanced ever. What else would they be? This era also saw a strong showing of the kit and tuner cars (Chevron, Lola, March, Osella etc.). Preceding the photos is a section listing the 29 race venues in the order in which they first appeared along with their vital stats and brief highlights. 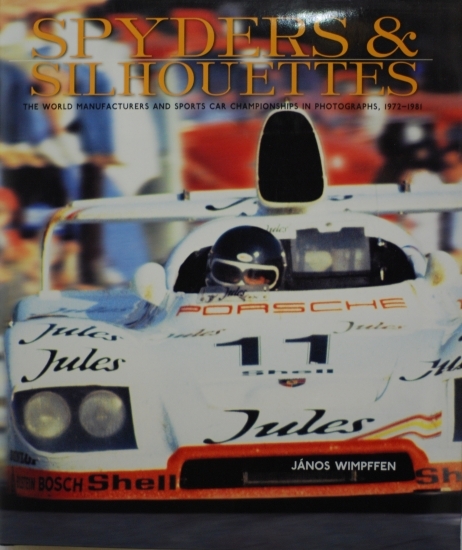 The book covers all 137 races and describes all rounds of the WMC as well as the 1974 Targa Florio and the 1976 Daytona 24 Hours. Each of the 10 chapters begins with an introductory commentary, is 30–40 pages long, and contains a sidebar listing all events by date, location, series and the champion/s in the respective series. The photos are largely new to the record and the author selected them from thousands sourced over many months and all corners of the globe. There’s no point—or, rather, no space—to list all the photographers here but all the marquee names you could possibly think of have their work represented here. Saying that, however, might raise undue expectations: the photos here are all of a documentary character; whatever “art” there is (practically none) is purely coincidental. The majority of the photos are of cars at work on the track, about 40 show pit activity and about the same number are driver portraits. The book is large, ergo the photos are too. The photo captions are very, very detailed and state photo credits. No Index. For the complete narrative and data companion to this and the other three books see Time and Two Seats elsewhere on SpeedReaders.info. There we also say more about Wimpffen so there’s no point repeating it here except to say that he is one of the serious racing historians of our time and we should count ourselves lucky to be able to partake of the fruits of his labors. This book is not cheap but neither is going to races, not to speak of going racing. 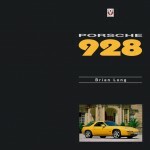 Won 2008 International Automotive Media Conference: Bronze Medal.